Auto Mate Systems Limited can supply and install car park traffic light systems and industrial traffic lights throughout the UK. As you would expect from one of the UK’s most respected traffic light suppliers, each one of our systems is produced by a leading manufacturer and bespoke tailored to your requirements. As a leading provider of Traffic Light Systems in the UK, Auto Mate Systems Ltd know the best solution to your Traffic Management needs. We sell a range of components for traffic lights, including heads, posts, detector and controllers. Auto Mate are able to integrate traffic management systems to current security systems with ease and write software to integrate the two, if required. As traffic light suppliers, providers and installers for over 20 years, we have a vast amount of experience and can work with any type of manufacturer, with planning and in inner city locations. Our systems can be programmed to adapt at set points to allow for induction loops and many other accessories as well as being programmed to change throughout the week or day to allow for appropriate changes. When it comes to traffic light suppliers, Auto Mate are the number one choice. We can integrate our products with gates, barriers, or roller shutters, along with other manufacturer systems that currently exist. 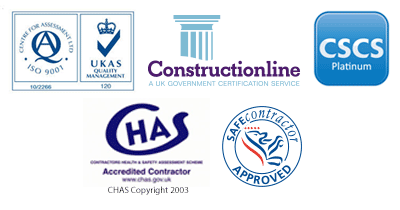 All our products come with fully warranty and we offer maintenance contracts with everything we install. With a maintenance contract, an engineer will come to your site once a year and ensure the systems are working effectively and efficiently in order to enable them to have the longest possible lifespan, everything you would expect from traffic light suppliers of repute. With over 20 years of experience in the industry, our engineers are the best around and install cost effective and efficient industrial traffic lights systems. We have installed a vast range of different systems across the UK and you can see examples of our industrial installs at manufacturers such as GlaxoSmithKline here. Our traffic light systems use ultra-modern CLS technology (central light source). CLS typically comprises 1 light emitting diode (LED) behind the light lens. To maximise light output and create an even spread of light, a diffuser is used in this arrangement. This provides an even light across the whole traffic light, making for a more aesthetically pleasing look. This also reduces the chance of breakages, as there is just one light instead of many. Before we fit your system, we will usually conduct a site visit to ensure the site is suitable. This also allows for any queries and solutions to be provided face to face. All of the industrial traffic lights systems we install have a strong, weather resistant polycarbonate structure. They utilise low voltage LED’s to save money on electricity and also reduces emissions. As more and more vehicles are taking to the road, it is becoming a necessity to install on site industrial traffic lights to manage traffic movement. To enhance safety and efficiency for traffic movement on an industrial site, a traffic signalling system from expert traffic light suppliers, is the clear and sensible choice. We recently installed a traffic light system at SCA Hygiene as well as at GSK. These systems are designed to allow the efficient movement of traffic across a site whilst ensuring maximum safety for pedestrians. At SCA, the system is incorporated with a roller shutter, between two manufacturers warehouses. This sort of system can be seen on our news page above. Industrial traffic lights, whilst providing a safer environment, also enhance the extent to which you can control your site. You can ensure that certain vehicles can be in certain places at specific times and that manufacturers users can recognise where they are able to go and where they should not. We also have ANPR (automatic number plate recognition) systems that can be used with our lights, these can control the lights based on the vehicle in question. At pharmaceuticals manufacturer GSK, we also installed an industrial traffic lights system that provides the number plate of a vehicle (on an LED sign) and instructs them where to go/park. This is particularly useful when loading and unloading vehicles. For instance, if a HGV comes onto site, you can direct that specific vehicle, based on its number plate, to a certain point/bay where it can un-load, this reduces waiting times for specific bays to be free and eliminates re-organising goods vehicles to be in the correct positions. Other traffic management systems are also available for manufacturers and can be incorporated into any industrial traffic lights system. As professional traffic light suppliers, we can also install radar speed signs, wig wag lights, gates, barriers and a variety of other manufacturers security devices that can be integrated to fully automate traffic movement throughout your industrial site. These systems are all fully customisable and upon contact, each customer is given a dedicated project manager that will guide them through the processes required. After the install, we can assist with any other queries you may have. Also, as you would expect from one of the UK’s leading traffic light suppliers, we offer maintenance on all of our systems and can visit annually or bi-annually to ensure everything is as efficient as possible, whilst ensuring the life of your system is at its full potential. For any queries regarding the above, please do not hesitate to contact us. We take pride in providing detailed, technical specifications of our systems and offer a quote service that will clearly show exactly what we provide. All our systems are specifically designed to suit your requirements. The software built into the traffic light controller is written, bespoke for your install. We offer various different manufacturer control systems to complement industrial traffic lights such as push buttons, induction loops, radio and much more. Please also check out our car park payment systems too! When it comes to choosing from a range of traffic light suppliers, choose Auto Mate Systems Limited.